Took an easy 120 mile round trip south of Denver today to see if anything was left of Russellville (or Russelville) in Douglas County. Russellville is the oldest settlement in Douglas County, and was founded by the William Russell Party (of Russell Gulch fame) of prospectors in the winter of 1858. Traces of gold were found in the area and the party busied themselves through the winter panning and collecting what they could find. In 1859 William Russell and a few others from the party decided to head west into the foothills of the Rocky Mountains and try their luck there. The Russell Party came upon the rich diggings of the area that would soon become Russell Gulch, Nevadaville and Central City. It was Russell’s party who was largely responsible for the Colorado Gold Rush of 1859, and Russellville is their little known first camp. Prospecting and scraping an existence from the slim pickings at Russellville continued for the next few years, and it is said that at one point 1,000 or more people worked the area living mostly in a tent city. As the gold played out and the tales of rich lodes to the west in Russell Gulch and Nevadaville spread, the population soon faded. By 1861 Russellville was nearly deserted. Those who stayed were mostly from Georgia and some say Alabama as well. They continued to scratch at the dirt looking for gold, and some took up ranching. 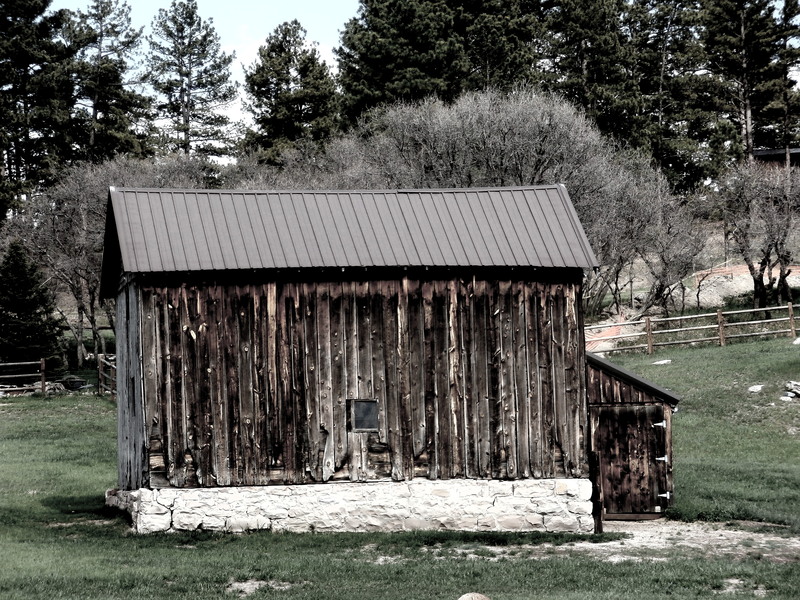 In 1861 a stage barn was constructed. With the outbreak of the Civil War, the sympathies of those left in Russellville naturally fell in line with their Confederate homelands of Georgia and Alabama. Confederate leaning renegades throughout the region knew Russellville offered sanctuary, and caches of arms, munitions, gold, silver and other plunder that had been robbed were hidden in the surrounding hills. In 1864 five members of the then infamous “Reynolds Gang” who had terrorized the Fairplay/Platte Canyon area robbing ranches and hijacking stagecoaches were marched into the town en route to their trial at Ft. Lyon to the east. 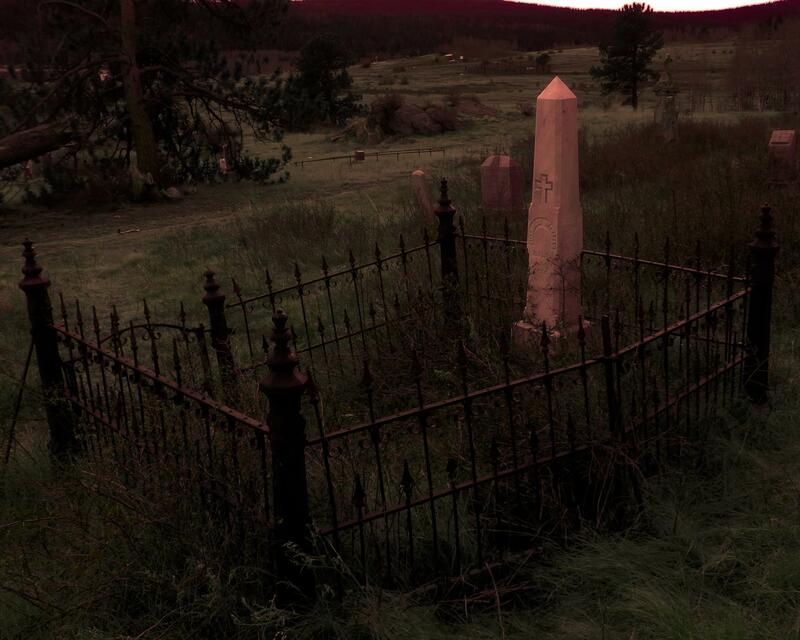 However, upon reaching Russelville the five were executed, their bodies tied to trees and left to rot to presumably serve as a warning to other Confederate sympathizers in the area. Russellville was abandoned shortly afterward. 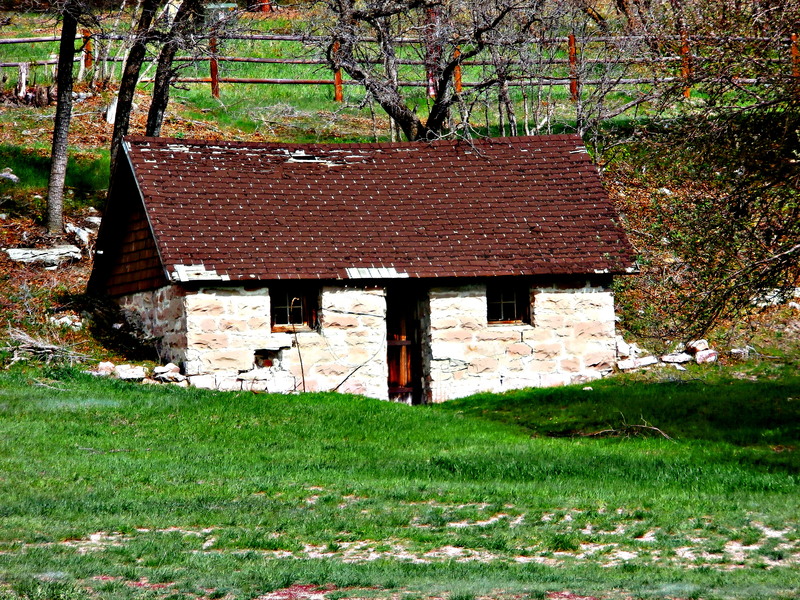 Today Russellville sits on private property, but can be seen just off Russellville Road near Franktown, Colorado. To this day the occasional cache of Civil War era .58 caliber musket balls or other hidden booty is found in the hills near the old settlement, but luxury mansions and gated driveways are found more often. 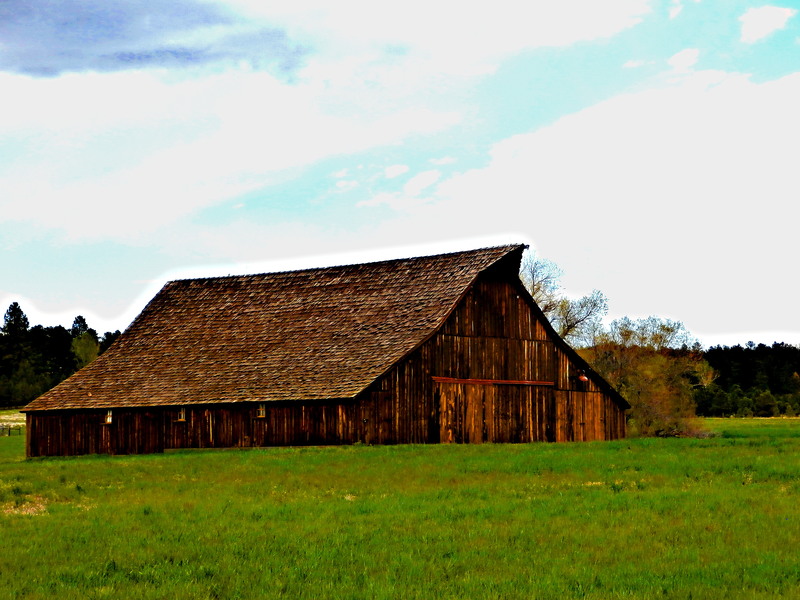 The stage barn built in 1861, as well as an ice house/root cellar, and what appears to be a boarding house or home that has since been converted into a barn are all that remain at Russellville today. 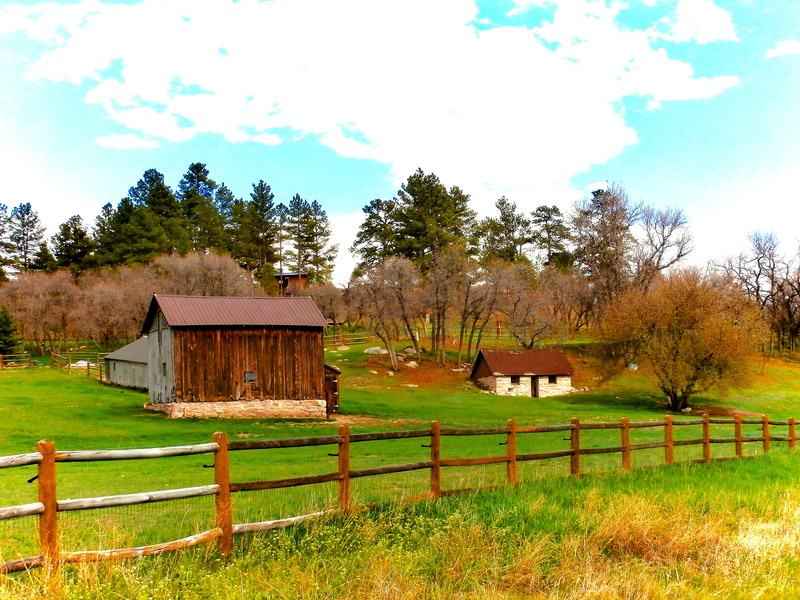 It’s a great spot to visit in a beautiful part of Colorado…if you know where to look.